The Showcase is a special feature of the Author's Spotlight. 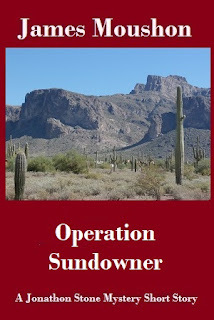 It is designed to highlight Spotlight author's NEW releases, their soon to be released novels and special events. The HBS Author's Spotlight SHOWCASES Sharon Skinner and JA Giunta's novel Supernal Dawn will be featured at the 2019 Tucson Festival of Books, March 2-3. See them at the Brick Cave Booth #208. Sharon is an award-winning poet and author. She writes Children's Books and Fantasy novels and short stories. For Lee, that means choosing between the family that betrayed him and the agency offering to train him. 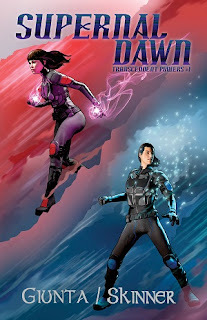 Ember’s loyalties are divided between the brother she’s lied to all her life and the family sworn for generations to protect the Nexus – the largest convergence of ley lines on the planet. The path ahead will not be easy. It is a time of beginnings, for new powers to arise. Sharon Skinner has been writing stories and poetry since grade school. She is a voracious reader of anything and everything, but her writing tends to be focused on fantasy, Steampunk, and the odd ghost story. She holds a BA in English and an MA in Creative Writing, and works hard to continuously improve her craft. Sharon also teaches workshops on creative writing and engaging audiences. 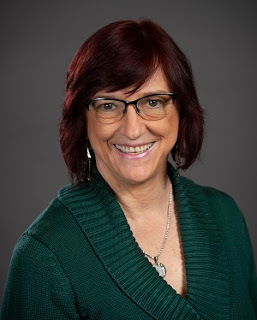 She is an active member of SCBWI (Society of Children's Book Writers and Illustrators) and currently serves as the Assistant Regional Advisor for SCBWI AZ. When she isn't traveling around the country teaching writing workshops or doing book signings and author appearances in fun places like Emerald City ComiCon, Phoenix ComiCon, and various book festivals, she spends her time writing, re-visioning, and editing. J.A. Giunta was born in Brooklyn, New York, in November of 1969. 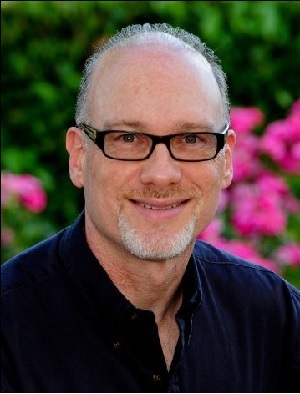 Though he spent most of his childhood growing up on Long Island, he has been living in Arizona for more than twenty-five years. Joe started writing stories at an early age, creating adventures for his pen and paper Dungeons & Dragons campaigns on a Commodore 64. Spooled from a dot-matrix printer, that first stapled manuscript has not survived, but it has evolved over the years to form The Ascension trilogy. His first Fantasy novel, The Last Incarnation, was published in February of 2005. With a Bachelor of Arts degree in English from Arizona State University, he is both an avid reader and gamer. He currently writes full-time. He currently lives with his wife, Lori, and six-year old daughter, Ada Rose, in the perpetual summer that is central Arizona. He credits all of his work to the advent of air-conditioning. The HBS Author's Spotlight SHOWCASES Kris Tualla's Camp Hale Series featured at the 2019 Tucson Festival of Books, March 2-3. See Kris at the Dreams Convention Booth. 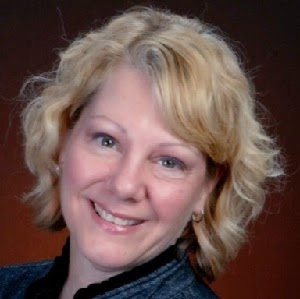 Kris is a dynamic award-winning and internationally published author of historical romantic suspense. 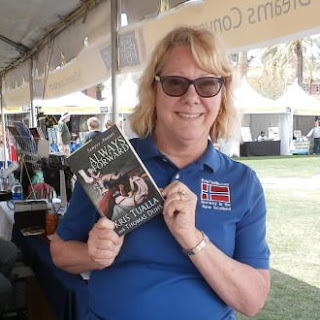 Kris Tualla, a dynamic award-winning and internationally published author of historical romance and suspense, has created a dynasty with The Hansen Series, with 25 novels published since 2010. An active member of Romance Writers of America, the Historical Novel Society, and Sisters in Crime, she was also a guest instructor at the Virginia G. Piper Center for Creative Writing at Arizona State University. 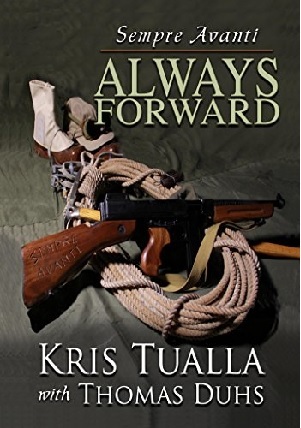 “Sempre Avanti: Always Forward” is the first historically correct *novel* about the WWII ski troopers who, despite multiple trials and setbacks, evolved into the US Army’s elite 10th Mountain Division ~ and follows their triumphant campaign as they push the German Army out of Italy. Skiing was Jack Franklin’s passion, so when the Army came recruiting for the newly formed Ski Troopers he was all in. Training at high altitudes in the Rocky Mountains at Camp Hale in Colorado was brutal, but the 14,000 soldiers who trained there became an elite corps, the 10th Mountain Division, ready and eager to take on Hitler in the Italian Alps. Along the way, Jack formed a long-distance relationship with the woman who recruited him ~ but her East Coast socialite background was as opposite his West Coast blue-collar life as it could possibly be. With him facing battle against Nazi Germans in the Alps, and her going overseas with the Red Cross, there was nothing for them to do but hope and pray they would both survive. There’s only one way to fight a war: sempre avanti ~ always forward. Kansas plains resident Lucas Thor “Thunder” Hansen hasn’t skied a day in his life when he enlists in the United States Army’s new Ski Troops. Working his family’s farm for the last six years has left Lucas feeling lost. 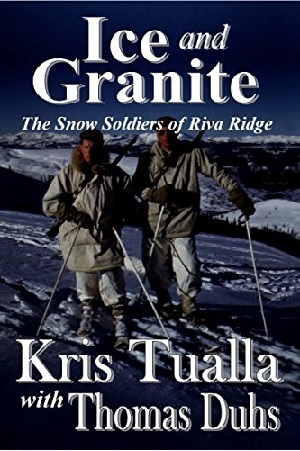 He arrives at Camp Hale, Colorado in January of 1943 hoping to find a new purpose for his life there. Denver native Parker Williams has spent five years teaching English Literature in a local high school—and hated every minute of it. As soon as the Women’s Army Auxiliary Corps is formed Parker enlists. 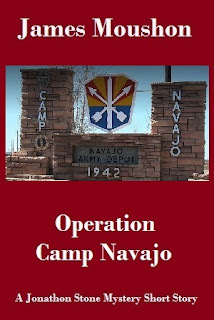 Stationed at Camp Hale in June of 1943, she is assigned to the Censors’ Office because of her college education. By January of 1945 the now-ready 10th Mountain Division is on the front line in northern Italy. Their first successful mission is to remove the Germans both from Mount Belvedere and its defensive position on the face of Riva Ridge. During the next two-and-a-half months the 10th soldiers continue to push north and east, battling the German Army and pushing them out of Italy through the Apennine Mountains and the Italian Alps. The Americans don’t stop their advance until Germany unconditionally surrenders in Italy and Austria on May 2, 1945. Less than a week later, Germany surrenders on all fronts on May 7, 1945. World War II in Europe is over. 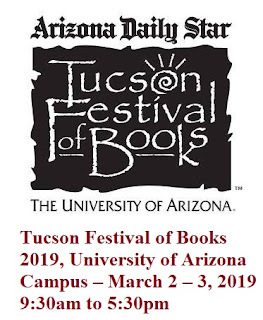 The HBS Author's Spotlight SHOWCASES Alan Jacobson's Book: Dark Side of the Moon featured at the 2019 Tucson Festival of Books, March 2-3. 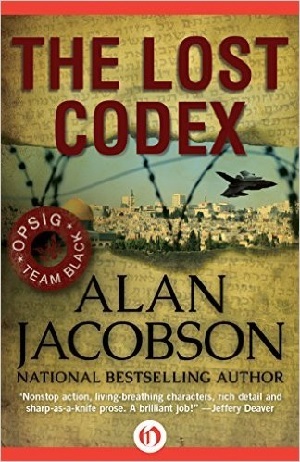 Author Alan Jacobson is the bestselling author of jaw-dropping thrillers. 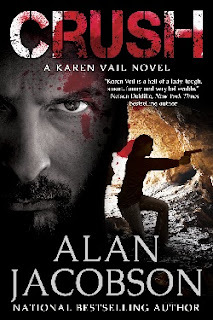 Alan writes the OPSIG Team Black series and the Karen Vail Series. 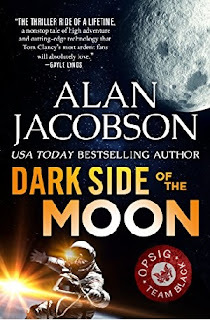 The OPSIG team must literally leave Earth to save it in this “thriller ride of a lifetime” from the USA Today–bestselling author of The Lost Codex (Gayle Lynds). In 1972, Apollo 17 returned to Earth with two hundred pounds of rock—as well as something far more dangerous than they could have imagined. For decades, the military concealed the crew’s mysterious discovery. But now a NASA contractor has leaked the intel to conspiring foreign powers, putting in their hands the most powerful weapon of mass destruction yet created. While FBI profiler Karen Vail and OPSIG Team Black colleague Alexandra Rusakov try to root out the NASA mole and break up the spy ring, covert operatives Hector DeSantos and Aaron Uziel prepare for a mission beyond anything they’ve ever attempted—a spaceflight to the moon itself—to avert a war that could not only disrupt the global balance of power, but also end in catastrophic annihilation. Apollo 17 commander Gene Cernan kept his gaze fixed on the Geiger counter. “We’re on the southeast side of Bear Mountain and—” “You’re supposed to be on your way back to base,” said flight director Denny Driscoll. In fact, they all knew it was going to be awhile—a long while. President Kennedy’s very public challenge for Americans to land on the Moon before the Soviets had been accomplished—and on time. With budgets strained and the public’s enthusiasm for the space program waning, Apollo 18, 19, and 20 were canceled. The writing was in NASA’s budget—and as good as etched in the basalt of Moon rock: the agency was turning its attention to Skylab and something else they had been discussing: a low Earth orbit space shuttle. There was a long moment of silence. Cernan figured Driscoll and his mission control specialists were discussing, if not debating, the timing of all they had left to do before liftoff. Cernan looked to Schmitt. As the only scientist to walk the Moon’s surface, this was his argument to make. After securing the specimens, they got back in the rover and drove toward the Challenger. Upon arriving, they off-loaded the cases of rocks they had collected, taking care to use the radiation shielded container as directed. They weighed each box and placed them in precise locations to ensure that the ascent stage—which would deliver them into orbit to rendezvous with the command service module—was properly balanced. Every ounce had to be accounted for so they could be certain the engines had enough thrust to lift them off the surface. Cernan drove the LRV, or lunar roving vehicle, several hundred feet from the lunar module and turned in a circle, orienting the front so that it faced the spacecraft. He checked the movie camera mount to be certain it was framing the shot properly. Mission control wanted to film the liftoff, and this distance would give them a good view and enough perspective relative to the surface—as well as a safety margin to prevent the equipment from being incinerated by the rocket engine’s burn. Cernan climbed out of the rover and stood there a moment, pondering the fact that they had stayed on the Moon longer, and traveled farther, than any other crew had. He knelt beside the rover and, scraping the stiff right index finger of his glove against the lunar soil, carved the initials TDC, after his daughter. He chuckled, knowing that with the Apollo program now ending, his inscription would remain undisturbed for many decades to come…perhaps for eternity. He hopped and bounced back to Challenger—the lunar module’s call sign—marveling at what he and Schmitt, and the hundreds of engineers at NASA and its contractors, had accomplished. Upon reaching Challenger, he grabbed the handles to hoist himself up the ladder. This moment had haunted him for weeks. He had wanted to prepare remarks to read but he never had the time to formalize something. Just as Neil Armstrong’s words of mankind’s first steps on the lunar surface had become famous, the last man making his final boot prints on the Moon might likewise be remembered. He had jotted down some notes on his sleeve over the past three days, but now, as he stood there, found that he did not need them. Instead, he spoke from the heart. He lifted his left foot from the soil and climbed aboard Challenger. 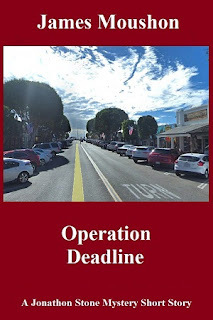 Author Description: My literary career has been marked by a number of events, but none more significant than an accidental meeting nearly 20 years ago. While researching "False Accusations" at the Department of Justice's crime lab, I met FBI agent Mark Safarik, who was awaiting promotion to the FBI's Behavioral Analysis (profiling) Unit--the one popularized by TV's Criminal Minds. We hit it off, stayed in touch, and Agent Safarik invited me out to Quantico to tour the FBI Academy and profiling unit. Thus began my immersion in the world of serial killers, rapists, bombers and arsonists. Seven years later, my education had reached critical mass: I'd made numerous trips to the Behavioral Analysis Unit, had countless hours of conversations with Agent Safarik and his partner, Agent Mary Ellen O'Toole; I'd edited four published FBI research papers on serial offenders and attended numerous FBI training courses; I'd shot submachine guns with the head firearms instructor at the Academy; and I'd parsed serial killer interviews with Agent Safarik. 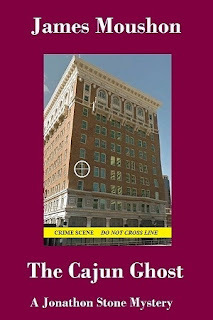 I felt that I owned the material well enough to use this knowledge and experience in writing my third novel, the first featuring FBI Profiler Karen Vail. 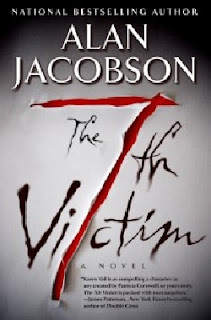 Vail had an explosive debut, bursting onto the scene in the national bestseller "The 7th Victim." Sporting a vibrant personality oozing sharp wit and sarcasm, Vail is a woman bucking the odds in a unit geared toward men, someone who always means well but, like you and me, makes mistakes. She has fears, loves, and vulnerabilities--and despite being very good at what she does--suffers perpetual unease about the decisions she makes. Because lives are on the line. Errors prove costly. There's little doubt that Vail has resonated with hundreds of thousands of readers because she's real. But at the end of the day, Karen Vail is a cop you'd "go through a door with." That's how law enforcement officers of all stripes describe a colleague you'd entrust your life to when bullets are flying. And that's how the head of the Federal Law Enforcement Officers association described Karen Vail. FBI profiler Karen Vail is on the hunt for an escaped serial killer in the latest jaw-dropping thriller from USA Today–bestselling author Alan Jacobson. Jasmine Marcks was a teenager when she discovered her father was a killer. First, there was the strip of bloody duct tape; then, the bloodstain on his shirt; and finally, the long nights away from home that always coincided with gruesome deaths. Roscoe Lee Marcks killed fourteen people before he was finally put behind bars. But as renowned FBI agent Karen Vail soon learns, Marcks’s reign of terror isn’t over yet. After writing a book about growing up as the child of a serial killer, Jasmine receives a letter—a single sheet of paper mailed from the maximum-security prison Marcks now calls home. The page hides a threatening message from a father who wants vengeance against the daughter who turned him in to the police. So when Marcks breaks out of prison, Agent Vail calls on a legendary retired profiler to help her find the escaped convict—and keep him from making Jasmine his fifteenth victim. In 930 CE, a revered group of scholars pen the first sanctioned Bible, planting the seed from which other major religions will grow. But in 1953, half the manuscript goes missing while being transported from Syria. Around the same time, in the foothills of the Dead Sea, an ancient scroll is discovered—and promptly stolen. Six decades later, both parchments stand at the heart of a geopolitical battle between foreign governments and radical extremists, threatening the lives of millions. With the American homeland under siege, the president turns to a team of uniquely trained covert operatives including FBI profiler Karen Vail, Special Forces veteran Hector DeSantos, and FBI terrorism expert Aaron Uziel. 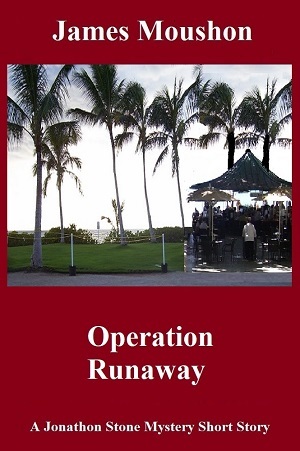 Their mission: Find the stolen documents and capture—or kill—those responsible for unleashing a coordinated and unprecedented attack on US soil. 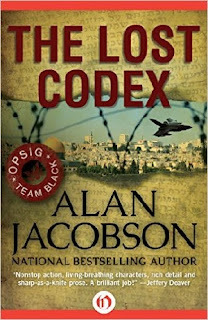 Set in DC, New York, Paris, England, and Israel, The Lost Codex has been hailed by Douglas Preston as “a masterwork of international suspense” and “an outstanding novel." New York City: home to world-renowned museums, theater, restaurants, iconic sports franchises. Central Park. Wall Street. And an infamous serial killer who’s terrorized the Big Apple for decades. The year is 1995 and the NYPD has just graduated a promising new patrol officer named Karen Vail. The rookie’s first day on the job is anything but easy when she finds herself at the crime scene of a young woman murdered in an unusual manner. Vail is unsure of what she’s looking at or what it means—but it’s a case that will weigh on her mind for nearly twenty years. As the years pass, Vail’s career takes unexpected twists and turns—as does the case that’s come to be known as Hades. Now a skilled FBI profiler, will Vail be in a better position to catch the killer? 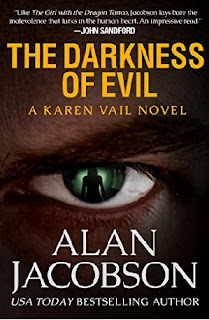 Or will Hades prove to be Karen Vail’s hell on earth? The character who has captivated readers worldwide—and who won the praise of literary giants Michael Connelly, James Patterson, and Nelson DeMille—returns in a story that captures the experiences that shaped the revered profiler and made her the top cop she is today. 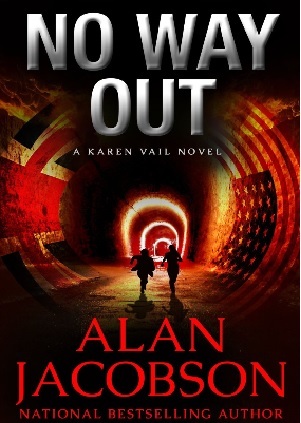 When a potent firebomb destroys part of an art gallery in an exclusive London district, FBI Profiler Karen Vail is dispatched to England to work with Scotland Yard on drafting a threat assessment to head off future attacks. But Vail soon discovers that at the heart of the bombing lies a 440-year-old manuscript that holds clues to England's past—with dramatic political and social implications. 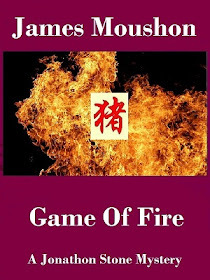 The manuscript’s content is so explosive that a group of political radicals is bent on destroying it at all costs. Or is it the work of someone else? 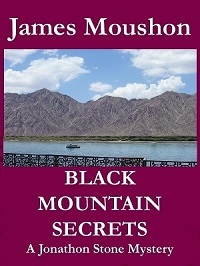 The trail leads Vail to a notorious fugitive who has escaped law enforcement for decades, and who appears to be planning a major attack on London and the United States. 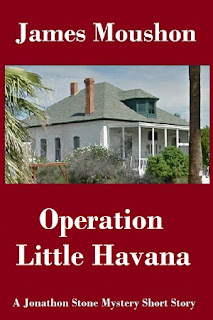 When Hector DeSantos, banished from the US Department of Defense and now a rogue covert operative, turns up in England and takes actions that threaten Vail’s life, she finds herself on the run from the British security service, Scotland Yard, and a group of internationally-trained assassins—all determined to silence her…all tightening the net to ensure that she’s got no way out. With his trademark spirited dialogue, page-turning scenes, and well-drawn characters, National Bestselling author Alan Jacobson (“My kind of writer,” per Michael Connelly) has once again crafted an intelligent, twisting thriller destined to be talked about long after the last page is turned. Fresh off the most challenging case of her career, The 7th Victim heroine and renowned FBI profiler Karen Vail returns in an explosive thriller set against the backdrop of California’s wine country. Hoping to find solace from the demons that haunt her, Vail makes her first trip to the Napa Valley. But shortly after arriving, a victim is found in the deepest reaches of the exclusive wine cave, the work of an extraordinary unpredictable serial killer. From the outset, Vail is frustrated by her inability to profile the offender-until she realizes why: the Behavioral Analysis Unit has not previously encountered a killer like him. As Vail and the task force work around the clock to identify and locate him, they’re caught in a web of knotted with secretive organizations, a decades-long feud between prominent wine families, and widespread corruption that leads Vail to wonder whom, if anyone, she can trust. Meanwhile, as the victim count rises, Vail can’t shake the gnawing sense that something isn’t right. With the killer’s actions threatening the Napa Valley’s multi-billion dollar industry, the stakes have never been greater, and the race to find the killer never more urgent. And through it all, a surprise lurks… one that Karen Vail never sees coming. An enigmatic covert operative. A skilled FBI agent with a dark past. And a terror plot unlike any in history... An explosion pulverizes the president-elect's helicopter on Election Night. It soon becomes clear that the group behind the assassination possesses far greater reach than anything the FBI's Joint Terrorism Task Force has yet encountered—and a plot so deeply interwoven in the country’s fabric that it threatens to upend America's political system. 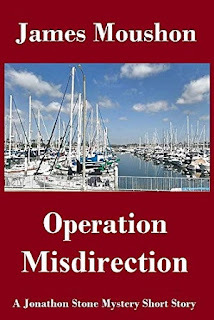 But as Department of Defense covert operative Hector DeSantos and FBI Agent Aaron “Uzi” Uziel sort out who is behind the bombings, Uzi’s personal demons not only jeopardize the investigation but may sit at the heart of a tangle of lies that threaten to trigger an international terrorist attack. 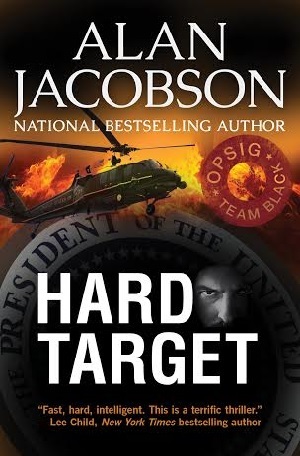 Hailed by political thriller master Vince Flynn as “a smart, complex novel that explodes from the page,” and by Lee Child as “a great thriller” that’s “fast, hard, and intelligent,” Hard Target is a ticking time bomb that keeps you clinging to the edge of your seat...and turning the pages. 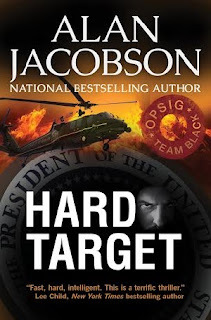 Note: Hard Target also features Jacobson's famed FBI Profiler, Karen Vail, in a key role affecting national security. When an elderly woman is found raped and murdered, famed FBI Profiler Karen Vail heads west to team up with Inspector Lance Burden and Detective Roxxann Dixon. 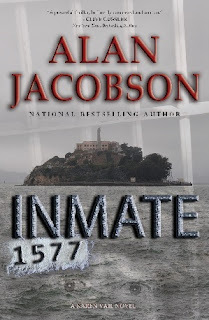 As they follow the killer’s trail in and around San Francisco, the offender leaves behind clues that ultimately lead them to the most unlikely of places, a mysterious island ripped from city lore whose long-buried, decades-old secrets hold the key to their case: Alcatraz. The Rock. It’s a case that has more twists and turns than the famed Lombard Street. 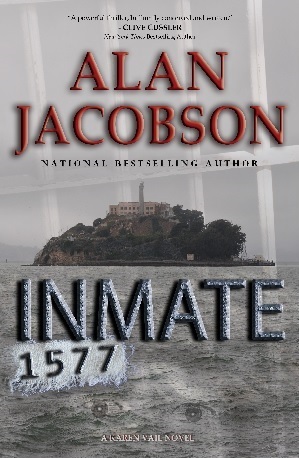 The legendary Clive Cussler calls Inmate 1577 “a powerful thriller, brilliantly conceived and written.” Inmate 1577 is already a national bestseller--with some readers calling it one of the best novels they have read in years. False Accusations is a twisting psychological thriller, a tale of deadly revenge where the assurance of "innocent until proven guilty" is not what it seems. Dr. Phillip Madison has everything: wealth, power, and an impeccable reputation. 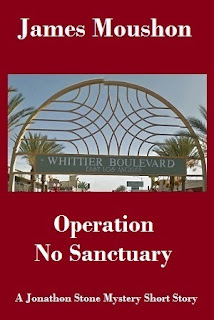 But in the pre-dawn hours of a quiet California suburb, the revered orthopedic surgeon is charged with double homicide—a cold blooded hit-and-run that has left an innocent young couple dead. Blood evidence has brought the police to his door. An eyewitness has placed him at the crime scene...and Madison has no alibi. With his family torn apart, his career forever damaged, no way to prove his innocence and facing life in prison, Madison hires an investigator to find the person who has engineered the case against him. As his privileged world is brought crashing down by a psychotic seductress, as family and friends abandon him, Madison's only hope for vindication rests in revealing a truth at the heart of a lie. It's a disclosure that could cost him more than he ever imagined. How well do you really know the person you love? How far would you go to find out? If there was one person in the world Dr. Lauren Chambers was sure she could rely on, it was her beloved husband, Michael. Recovering from an agoraphobic depression and prone to episodes of blinding anxiety, Lauren is a gifted psychologist for whom her husband's love and support mean everything. So when Michael suddenly and mysteriously vanishes, Lauren once again finds herself balancing on a knife's edge, haunted more than ever by an all-too-familiar paranoia. Is there more to it than paranoia, though? 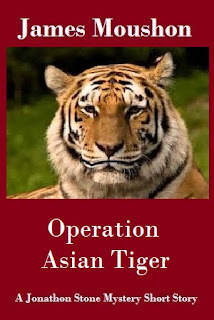 Private investigator Nick Bradley believes so. 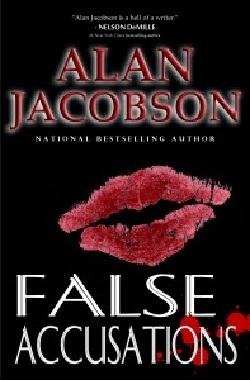 As the pair takes off on a cross-country journey in search of answers -- a search that yields a series of unsettling truths about the husband Lauren believed she knew so well -- bestselling author Alan Jacobson sets into motion a page-turning tale of concealed identities, an assassin's vendetta, and murderous revenge. 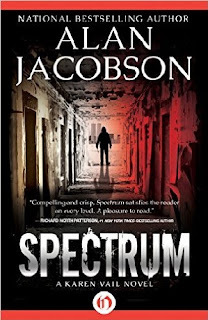 Once again proving his mastery of the shocking twist and the ingenious turn, Jacobson leads readers on an exhilarating road thriller built for hairpin turns and unexpected detours as Lauren heads for a face-off with the most dangerous secret of all: the truth. 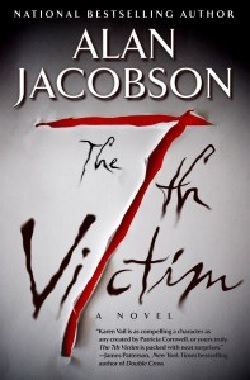 From Alan Jacobson, "one of the brightest stars of the publishing world" (CNN), comes a chilling follow-up to his breakthrough bestseller False Accusations: a high-velocity thriller of deadly revenge and psychological mayhem. Lightly edited and newly updated. 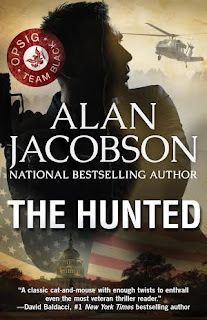 The Hunted is the novel that not only launched the OPSIG Team Black series but introduced several enigmatic characters: Hector DeSantos, Douglas Knox, Troy Rodman, and Anthony Scarponi, who have returned in subsequent OPSIG Team Black novels, as well as my FBI profiler Karen Vail series. The Hunted is not just a thrilling read, but it’s an adventure that lays a solid foundation for many characters and stories slated to come in the Alan Jacobson universe. 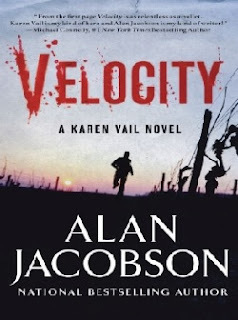 Renowned FBI profiler Karen Vail returns in Velocity, national bestselling author Alan Jacobson’s most explosive thriller to date. 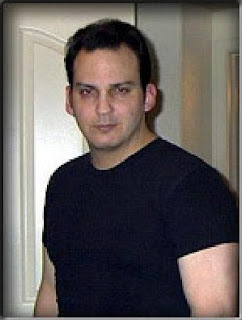 Detective Robby Hernandez, Vail’s boyfriend, has vanished into the dense air of a Napa Valley evening. There are no clues to his whereabouts, other than blood stain and tenuous connections to a vicious serial killer operating it the wine country. As the task force struggles with Robby’s disappearance, the killer challenges Vail by boldly leaving his high profile victims in public places. Is this offender somehow responsible for Robby’s disappearance? Evidence suggests that he is-but just when Vail and the task force begin to make progress, the FBI orders Vail to return to Quantico to handle a case of vital importance. Back in Washington, Vail engages convert government operative Hector DeSantos to determine what happened to Robby. It’s a move that backfires when DeSantos’s confidential informants lead them into unforeseen dangers, forcing Vail to face off against powerful foes unlike any she’s ever encountered, threatening her life, her career…all that she holds dear. 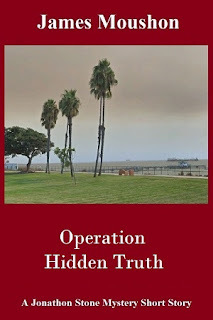 In a frantic race against time that takes them from the monuments of Washington D.C. to the wealthy beach enclaves of San Diego and the bright excesses of Las Vegas, shocking truths emerge-truths that will forever change Karen Vail. The Dead Eyes Killer lurks in the backyard of the famed FBI Profiling Unit. 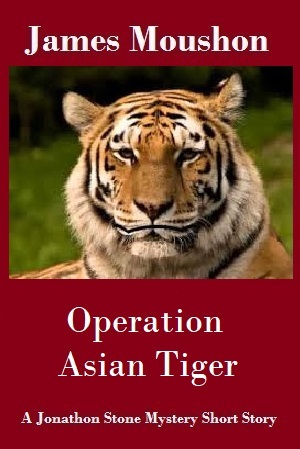 His brutal murders, unlike any others previously seen, confound the local task force, despite the gifted profiling skills of Special Agent Karen Vail. But along with Vail‘s insight and expertise comes considerable personal and professional baggage. With material meticulously researched during seven years of study with the Bureau’s vaunted profiling unit, Alan Jacobson brings refreshing realism and unprecedented accuracy to his pages, as he takes readers behind the scenes of the FBI Academy, where he worked with the actual profilers who have studied and interviewed twenty years’ worth of serial killers. Labels: #HBSpotlight, #Mystery, #Thrillers, Alan Jacobson, Behavioral Analysis Unit, bestselling author, james moushon, OPSIG Team Black series, TDark Side of the Moon, the Karen Vail Series.